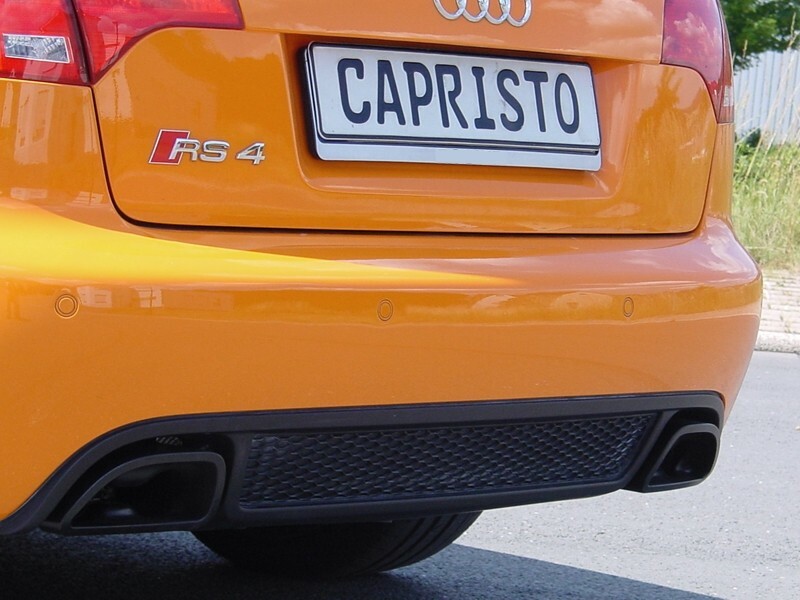 Capristo Exhaust System with Valve Control for the Audi RS4 B8 (8E). CNC machined tail pipes with ceramic coating. The system can be controled via the on-board Audi control system (no programmable control included), or optionally with our programmable valve control CES-3. 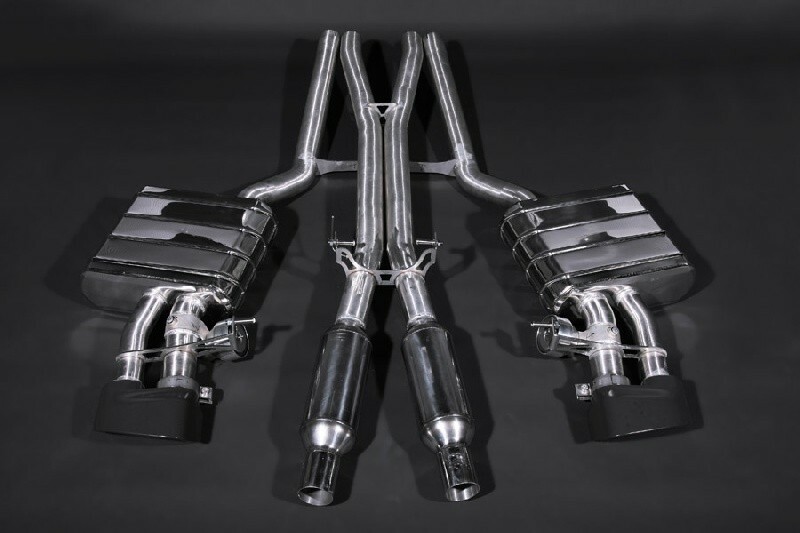 With this Capristo valve controlled exhaust the engine performance is increased by 20HP (23Nm) over almost the whole spectrum. The system has a EG-assessment and is therfore road legal.